2 7/8" x 5/8" N.. Very easy to install, I love it, it brightened up my whole kitchen. The white tile looks great with the gray grout! 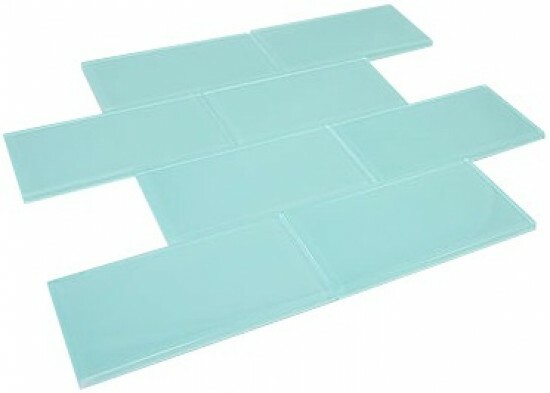 Broadway soft mint 3" x 6" glass mosaic tile for Bathroom Floor, Kitchen Backsplash, unmatched quality.These stunning glass tiles give a unique and dramatic effect.This tile can be used alone or as a gorgeous complement to ceramic and natural stone materials.